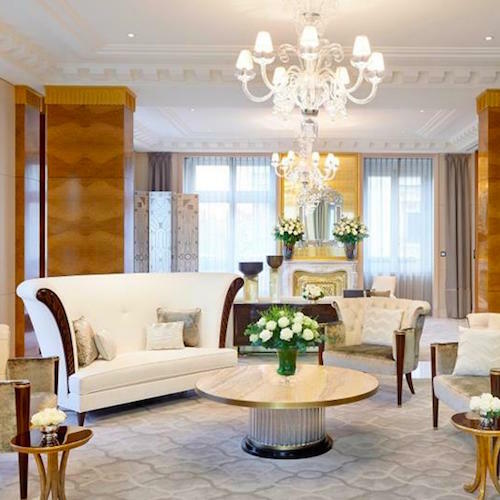 Three-Star Hotels In Paris – 10 Of The Best, Plus A Bonus! We've scoured the city to source the ten best three-star hotels in Paris (and thrown in a special bonus review). 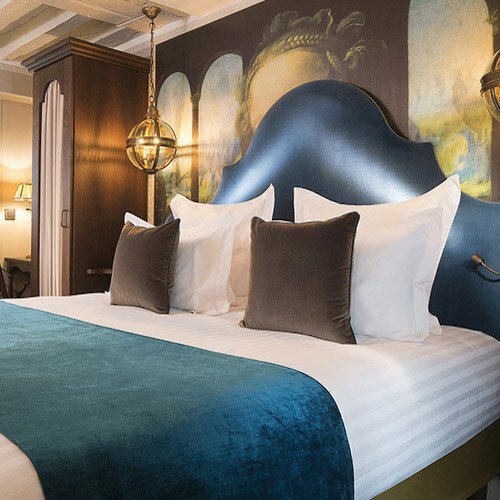 Sure, you can splurge on a 4- or 5-star hotel and be guaranteed a great room, but it takes imagination and a lot of research to find Paris hotels that offer beaucoup de charme at reasonable 3-star prices. 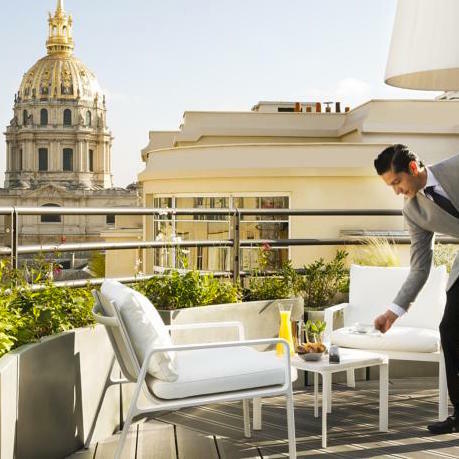 Our selection of three-star hotels in Paris ranges from the 1st to the 18th Arrondissements, with something for everyone. Looking for a relaxing countryside feel? 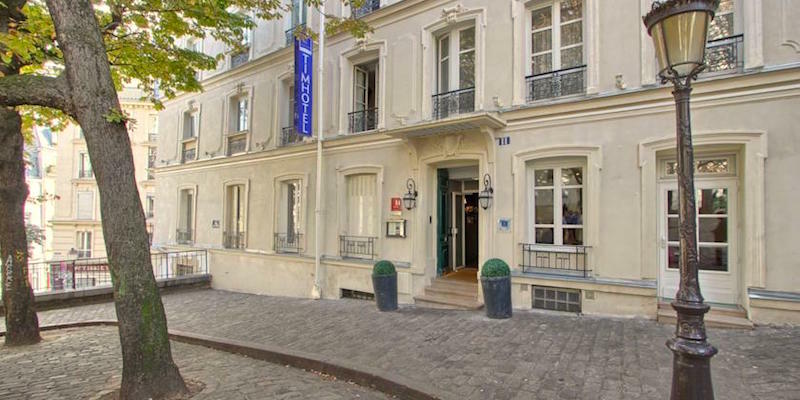 Try the Hotel des Grandes Ecoles in the Latin Quarter or Hotel Le Vert Galant in the 13th near Place d'Italie. 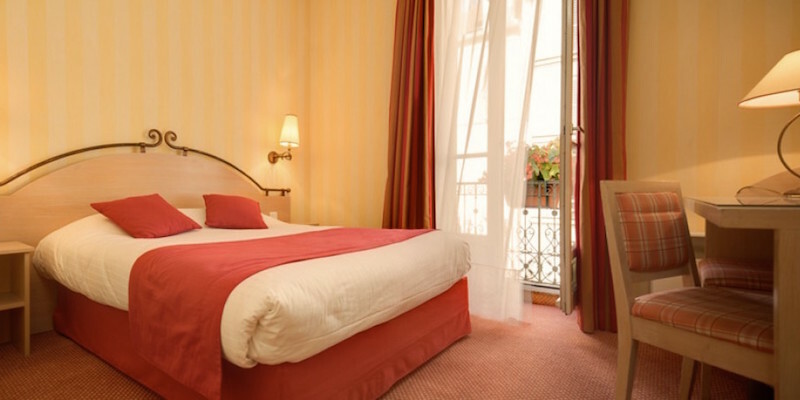 Or, if you want to be smack in the middle of St Germain des Prés, opt for Hotel de Fleurie. The history of Hotel Brittanique goes way back to 1870 when it was operated by a Quaker mission to aid Prussian war victims. Today it's gracefully restored, with a winding staircase, polished banister and carved reception counter. 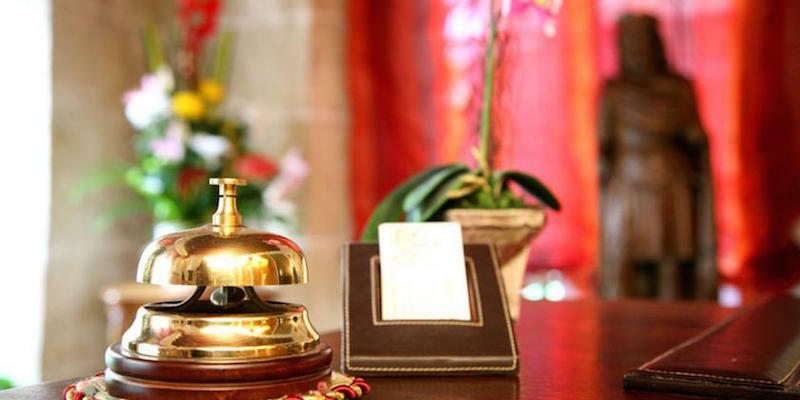 Situated between Chatelet, Hotel de Ville and Notre Dame, Hotel Brittanique has perfect access to the best of the city. Insiders tip? Choose rooms on the top three floors — high enough to escape any street noise and to give you a view. Rooms are decorated in soft gold and burgundy tones and the bathrooms are stocked with luxurious Annick Goutal toiletries. The name of the hotel should be a good clue — from the front door, it's a short five-minute walk to the entrance of the world's most popular museum. Also at your doorstep is the Seine, and access to the Left Bank via Pont Neuf. The original stone walls are exposed in the dramatic entry. All the rooms have been recently redecorated. Breakfast is served in the original 14th-century stone-walled Cave des Mousquetaires (Musketeers) that was once connected to the Louvre. Added bonus, free WIFI. The location couldn't be better — near to the Picasso Museum and on the edge of the vibrant Marais neighborhood. 17th-century exposed beams line the stairway to the downstairs breakfasts room, fashioned from the original cave. 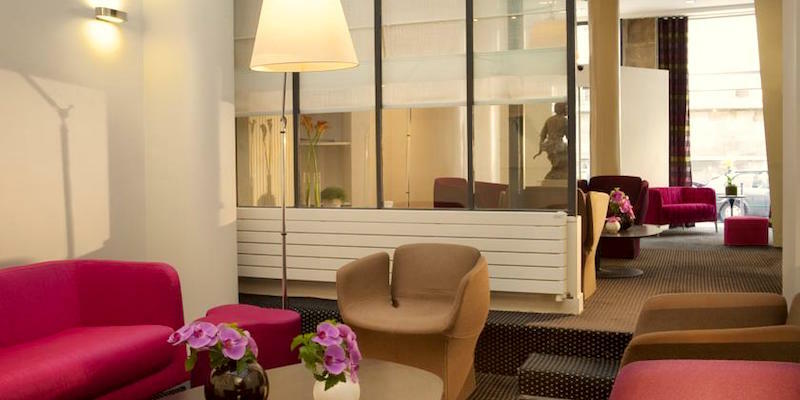 Rooms at Hostellerie du Marais are smartly done and are soundproofed by double-paned windows. Insider tip? Try to reserve rooms on the top floors with views onto the courtyard. Also close to the hotel are Place des Vosges, Hotel de Ville, the Pompidou Centre, Ile Saint Louis, and Notre-Dame. 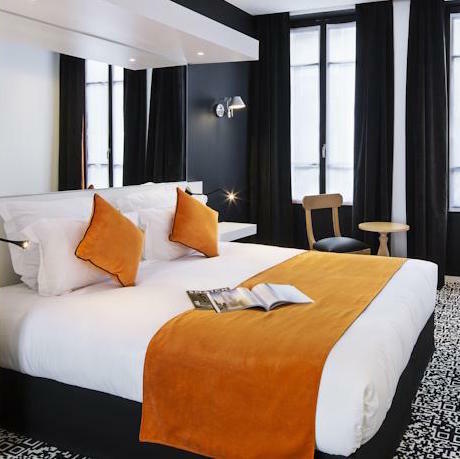 The uber-charming hotel sits on a quiet street near Place Sainte-Catherine, leading into the Marais. 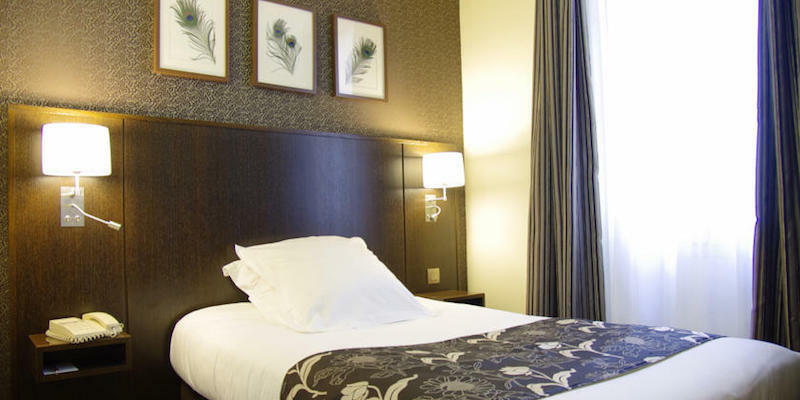 Discovered by Paris hotel bargain hunters decades ago, Hotel Jeanne d'Arc offers spotless rooms at a very affordable price. The guest rooms are peaceful and zen-like, with wood floors and a neutral color palette. Choose from a single, standard, superior, comfort, or a family room that can accommodate four people. Some of the rooms have two sets of windows that let a Paris cross-breeze waft up the scent of buttery croissants from the street. The exterior of the hotel features a bank of inviting French doors & windows, lanterns, and colorful flower boxes. Repeat customers make up the bulk of their clientele, so book early. This St-Germain gem has been carefully restored to its former glory and is embellished with exterior statues that are lit at night. The lobby showcases a stately leather sofa, club chairs and French decoration details. A spiral staircase leads to a stone-walled cave where breakfast is served. All of the rooms have modern marble bathrooms. 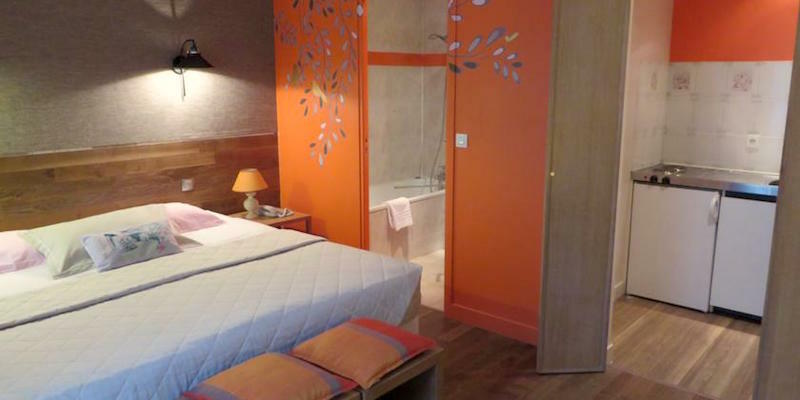 Hotel de Fleurie also offers families two interconnecting rooms. The decor is slightly masculine with strong lines and simple accents. And the location? You are in the heart of Paris called the "golden triangle" between the Seine and the Luxembourg Gardens, and between Boulevards Raspail and Saint-Michel. 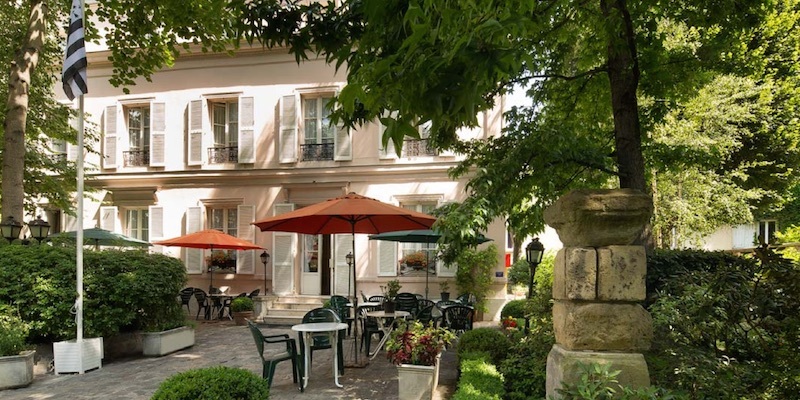 Located in the Gobelins district where the tapestry factory has flourished since the 17th century, Le Vert Gallant is a garden hotel and a charming oasis for those who know Paris well and are looking for something a big beyond the usual hotel room, and are willing to sacrifice a dead-center location to get it. Across the street from the hotel is the Rene Le Gall Square, a green park filled with the sounds of French children playing. The small hotel has 17 rooms, all with picture windows framing a garden courtyard view. Breakfast is served on the veranda facing the garden featuring homemade tartes & gateaux (pies & cakes). Insider tip? Ask for one of the two rooms on the ground floor that has a kitchenette, separate bedroom, and access to the garden. The founder, Patrick Kalmy, took a dog-eared one-star and transformed it into a snazzy three-star gem and still managed to keep the prices reasonable. Traveling as a family or as a group? Ask for the mini suite, found on the top floor, with a lovely view across the rooftops of Paris and enough room for four people. 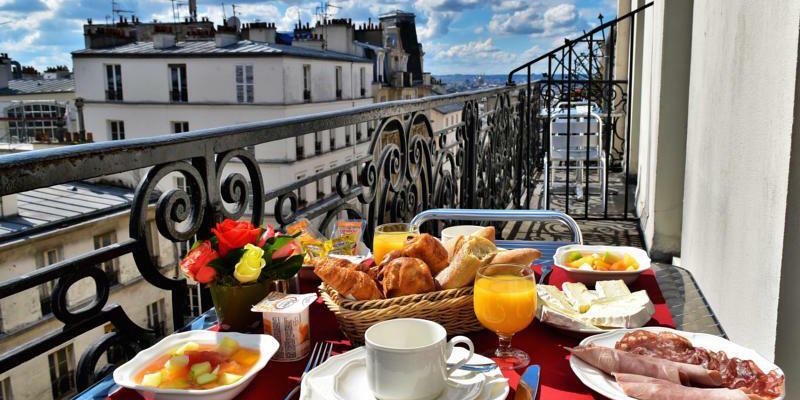 Hotel Delambre is within easy reach of the Luxembourg Gardens, St-Germain-des-Prés and the best of Montparnasse — including La Coupole, Le Dome and Le Select cafe & restaurant. Added bonus: free WIFI access. Location, location, location. Situated in the 15th, which is too often overlooked by travelers, you are a hop, skip and jump from the Eiffel Tower. 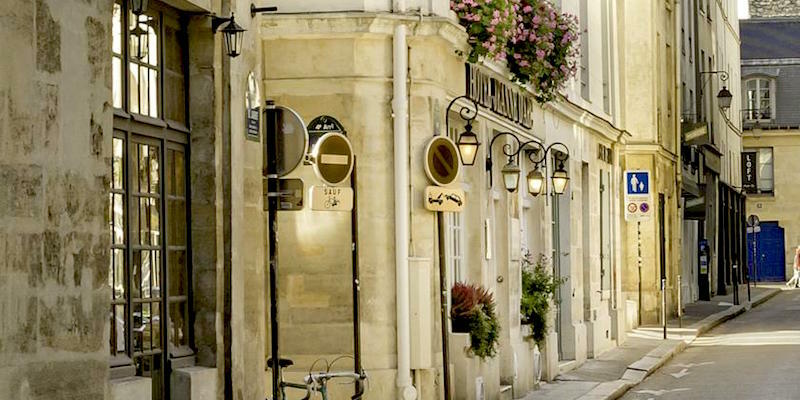 Best of all, this location gives you a glimpse of everyday Parisian life — la vie Parisienne. What to expect? A spotlessly clean, modern hotel. There is a welcoming seating area in the reception where you can have a drink, read, or visit. The quartier around the hotel is vibrant with cafes, shops and restaurants. The Eiffel Tower and Seine River are nearby, about a 15-minute walk away. Ask for a triple room with a view to the leafy courtyard. Added bonus: the rooms are equipped with mini refrigerators. This century-old Montmartre building still has its ornate ceiling moldings and marble fireplaces. Appealing to to the Euro-crowd on a slim budget, the 3-star Hotel 29 Lepic is a good base for exploring the city. The single room overlooks the inner courtyard, and is perfect for a solo traveler. Insider tip: ask for a room with a balcony. The Junior Suite is decorated with French fabric wall covering and the seating area includes a sofa bed. Or splurge and book the apartment. Located at the back of the building on the first floor, the spacious apartment has a living room with sofa bed, a kitchenette, and a separate bedroom with a large bed. Best part? You access the apartment through a private back stairs that overlooks a courtyard. 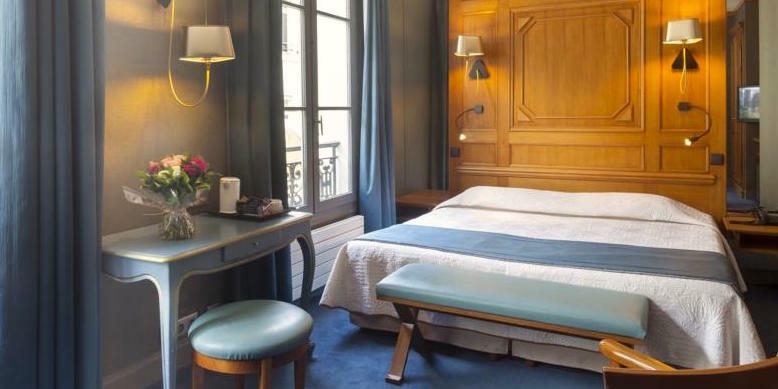 This 3-star hotel offers better-than-average standard rooms on a leafy Montmartre square. Next door is the site of Bateau Lavoir where Picasso and other artists lived when they lived on this picturesque hill above Paris. Nearby is Place du Tertre and Sacre Coeur with sweeping views of the city. 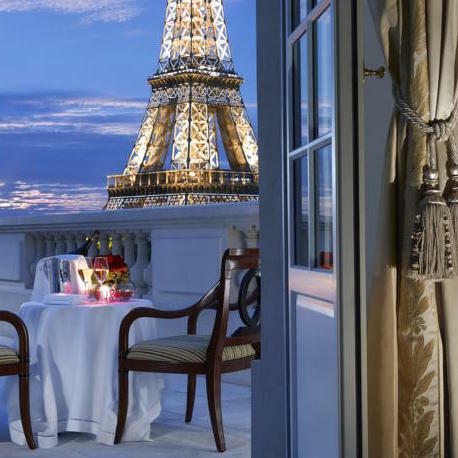 Reserve rooms on the fourth floor, which have balconies, or on the fifth floor which have views of either Sacre-Coeur or the Paris skyline. Added bonus, the rooms are soundproof and have air conditioning. Once found, this hotel address is a guarded secret, only whispered to a select few by its loyal customers. 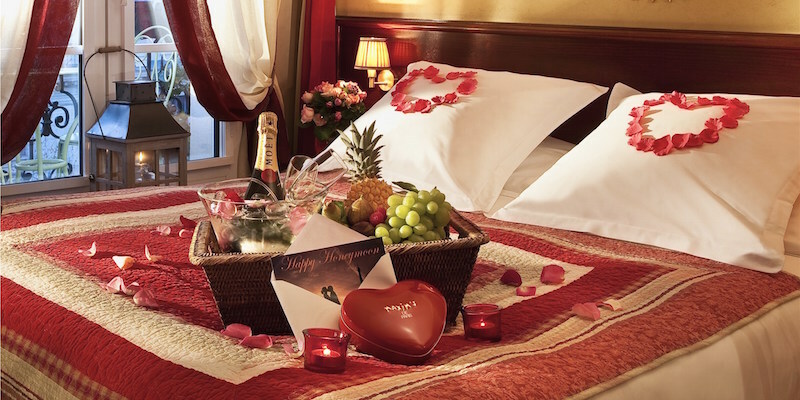 Nestled in a beautiful garden and hidden behind imposing wooden doors, it's one of the most romantic havens in Paris. Two facing houses make up the hotel — all the rooms look out onto the tree-shaded garden with trellised roses, and a riot of flowers from daffodils in the spring to wildflowers in the summer. The rooms are decorated with a feminine touch in classic French soft tones, billowing curtains and elegant wallpaper. Look out your window onto the tables and chairs put out for reading or sipping a drink and you'll imagine that you are in the French countryside.